Take on the #FoodSavvy challenge to reduce waste & save money in February - join me! 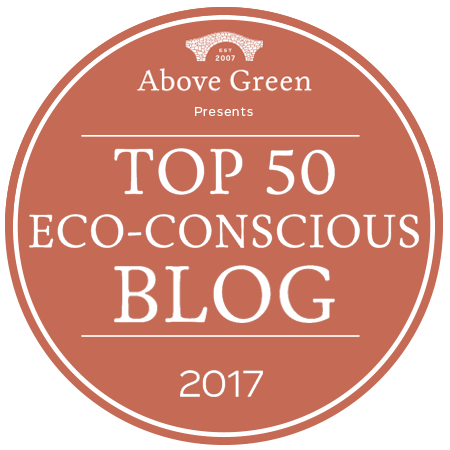 This blog post is an ad for Environmental Charity Hubbub as a part of their Food Savvy campaign. I recently read a statistic from Norfolk and Suffolk County Councils that surprised me. In fact, you may have already spotted my tweet earlier this week about it: every household is throwing away up to £810 worth of edible food every year. Apparently, in Norfolk and Suffolk alone, that adds up to 113,000 TONNES of food waste! Crazy, isn’t it? Across both counties this costs the taxpayer £12.6m each year, and that’s just in East Anglia – I bet the statistics are similar where you are too. Cutting food waste therefore not only helps the environment, it also makes sense financially for all of us. That’s the kind of thing that really gets a thrifty gal like me excited! Imagine if I could save an extra £800+ every year just by not wasting the food I buy? Yes please! And that’s why I am super-keen to get started on the #FoodSavvy Challenge with environmental charity Hubbub. The idea of the challenge is to find out just how much food I’m wasting by measuring everything I throw away, and then trying different ways to reduce this. Even though I’m eager to get started on saving food and cutting the amount of waste straight away, it is important for me to carry on ‘as normal’ for a week to discover exactly what I am binning and why. And it gives me a base-line measurement so that I can see exactly how effective the challenge has been at the end of the month. The struggles I have with food waste are probably exactly the same as yours. I tend to cook portions that are too big, then either don’t use the leftovers or don’t get round to storing them. And my other problem is that food just goes off. I buy lovely fresh fruit and veg, put it in my fridge or fruit bowl, and then watch it rot. The trouble is that, until recently, we only had a fridge. It’s been years since we owned a freezer so we’ve got used to buying fresh fruit and veg. And, as much as we try to eat everything up, it’s just been inevitable that a spring onion will go mushy in the fridge and a lemon will crisp up in the fruit bowl. We’ve just “gotten used to” wasting food in this way, because we didn’t have much of an alternative. But NOW, we have a freezer! Whoop! It was just before Christmas that we started thinking about it, as we wanted to store enough food so that we didn’t really have to go out to the crazy-busy supermarket during our time off. And when my brother-in-law moved house, he had a small freezer going spare. Yes please! So, now we’ve finally got somewhere that we could store our leftovers and stop food from going off. It’s just that, so far, we’ve had some freezer mishaps. First of all, we stocked up on a few frozen products over Christmas (peas, gateau, ice for cocktails – y’know, the essentials) and then, sadly, lost it all in an unfortunate switching-off-the-freezer incident. You see, we hadn’t got used to the cable being plugged into that socket so the switch was flicked off to save energy and everything defrosted. Doh. We’ve also still not got used to the fact that we can freeze leftovers, so they’re still loitering around the fridge, going to waste. I just need to get into the mindset of having a freezer and I’m sure that I’ll be able to use it to my advantage in terms of reducing food waste. I just need to investigate how. So I’m starting the challenge today, on the 1st February 2019, and will measure all the food that goes into the bin this week. The #FoodSavvy Challenge only measures avoidable food waste, so no peelings, bones, teabags etc, so I’ll be keeping any waste in a caddy and measuring it at the end of each day so that I can find out how much food waste we have in a ‘normal’ week. This even includes leftover food when we eat out, but it’s okay to estimate this rather than carry scraps home to measure. Eww. I’ll be sure to let you know how I get on with regular updates on Twitter and on my blog. Why don’t you join me and take on the #FoodSavvy Challenge yourself? Come on, let’s do it together! The #FoodSavvy campaign is an ongoing collaboration between Hubbub and local councils to try to reduce food waste in Norfolk and Suffolk by 20% by 2025. I’m sure if we all start now, together we can make it happen! Let me know if you’re going to join me in the comments below and we can help each other through the challenge woo! Good luck! Gifting compost to a gardener is a great suggestion Lesley! I need to get a compost bin myself now that I’m working on my garden makeover 🙂 Thanks for sharing your ideas!